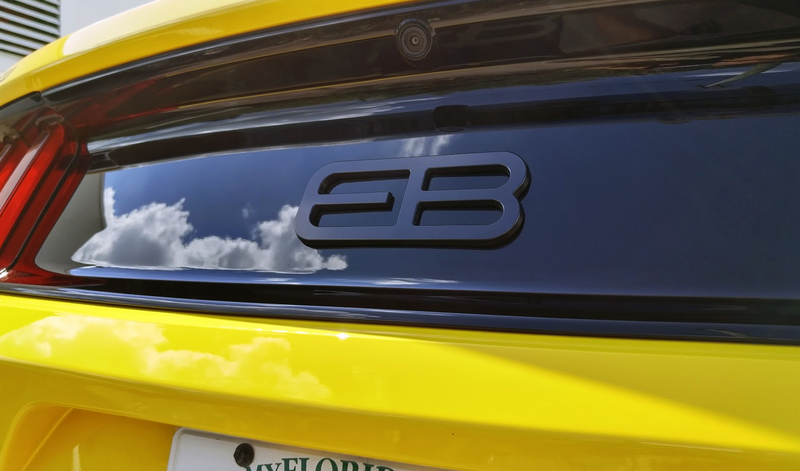 Set your car apart from the rest with this 15-18 Ford Mustang Ecoboost EB Billet rear emblem. CNC Machined from 6061 Billet Aluminum to fit the rear curved panel of your mustang. » Measures 6 1/2" x 2 1/2"
Installs in 2-3 minutes or less with supplied 3m Adhesive. 2015 2016 2017 2018 2.3 Turbo S550 Ecoboost Mustang Steeda Roush & Saleen Vehicles. UPR Products brings you the best aftermarket Billet dress up accessories, Street-Strip & Racing Suspension & Performance Parts for your late model American Muscle Car!